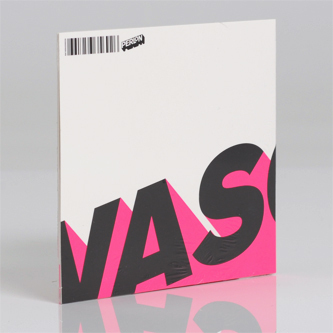 *Back In Stock - Includes The Much Sought-After 32 Minute Version Of Minimoonstar* The first part of Villalobos' 'Vasco EP' released on vinyl earlier this year is a personal favourite that has managed to recieve an average of one play-a-day round ours. 'Minimoonstar' is another of his 30min techno odyssees that simply cannot or has not been imitated, bringing together the trickiest yet most dancefloor gratifying rhythms, with brain warming chord progressions and organic subbass for one of his finest moments to date (we say this a lot, but he has a lot of moments innit?!). Another vinyl cut 'Electronic Water' functions as a perfectly experimental DJ tool, ripe for layering with equally bent and tripped rhythms and is also included on this CD copy, alongside the 12 minute 'Amazordum' and 14 minute Skinfummel. Quite simply an essential purchase = Massively recommended!